The original Babyface interface by RME was arguably one of the best portable desktop interfaces available. It offered one of the most impressive feature sets and probably had the cleanest sound around. It might not have been the best looking, but it was a professional unit considering it’s an entry-level device. For many, it was the reliability across different systems that won their investment. How then has RME updated such an important piece of hardware, and is it any better? When the Babyface Pro arrived I was pleased to see that it comes with a hard plastic carry case. It isn’t the smartest thing you’ve seen and doesn’t even have a handle, but several interfaces come without anything at all. It is meant to be a portable device for professional use after all, and this is a great addition. The unit is machined from a block of aluminium, which is very strong and has a refined feel about it. In fact the whole unit is of very high quality and has a nice size and shape to use. It doesn’t have a particularly striking look and I don’t think photographs do it any justice, as it feels very solid and professional in reality. The onboard display metering works well, but nothing mind blowing. Again the rotary encoder and push buttons are of good quality and better than the original Babyface, but nothing out of the ordinary. It’s clear that the design is focused on being professional with good functionality and sound quality, rather than anything that could have been classified as a gimmick. Looking at the connections, we find the first big piece of news – no breakout cable. Both the original Babyface and its main competitor the [Apogee] Duet have breakout cables and although they are fine, they’re not professional. Having all the audio I/O now directly on the device has made it slightly larger, but because of its new sleek shape it will still fit in most laptop cases where necessary. 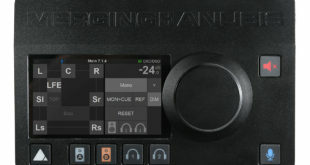 The built-in XLR connections have been incorporated into the unit’s housing in a new and unique, but tidy fashion. The I/O for the Babyface Pro is still 12 in and out as it was on the original, but along with ‘proper’ connections there is better use of this I/O. There are two XLR mic preamps, two 0.25in jack inputs for instrument and line level inputs, ADAT optical in and output ports, two XLR line outs and two headphone outputs. The differences are with the headphone amps and the optical port. The optical port now supports ADAT and optical SPDIF via Toslink; the two headphone ports receive the same mix but have independent amplifier stages; the smaller 3.5mm jack socket is for low-impedance headphones, while the 0.25in socket is for professional high-impedance headphones. 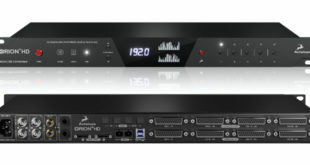 The converters are RME’s latest generation A-D/D-A’s with SteadyClock technology, which are among some of the highest regarded converters around. With these new converters and the ability to run on USB 3.0 or USB 2.0, the Babyface Pro offers very low round-trip latency. The USB connectivity has also been designed to work with mobile devices. As the interface is bus powered, this means you can record anywhere with this device and an iPad alone. 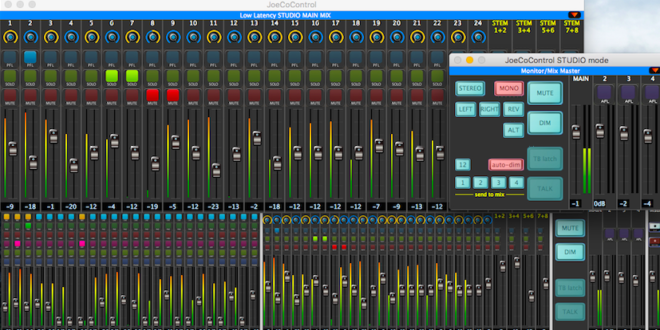 The device operates on all host systems with RME’s TotalMix FX software. This is one of the most comprehensive and best interface mix applications there is. It will allow you to create any distribution of audio for monitoring and recording, in a clear but detailed form. The FPGA-based DSP mixer adds a three-band parametric equaliser to all inputs and outputs, while reverb and delay effects are also available, to help provide the right sound in your headphones when tracking. The only element they’ve had to omit for cost reasons, apparently, is any compression. This is a shame, but certainly not a deal breaker for this size of interface. Well, as you would expect from RME, the audio quality of the Babyface Pro is very much in line with high-end interfaces, and mostly with those that are typically twice the footprint. There aren’t many, if any at all, compact desktop interfaces that sound this clear. The sound is very clean, neutral and uncolored as it should be for an interface of this calibre. Even the mic preamps are squeaky clean. There’s plenty of gain available in this new model with up to 70dB on tap in 1dB steps, which provides a lot of gain for even the lowest output level microphones. There is very little in the way of noise too, and with supported recording rates of up to 192kHz, this is a very professional product. If you’re looking for some color from your mic preamps then the onboard pres aren’t for you. You will need to ‘warm’ up your incoming signal on the way in with some additional hardware. 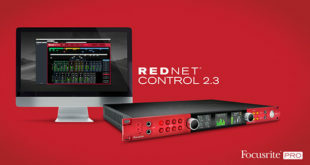 The Babyface Pro and all of RME’s interfaces are aimed at being transparent in your signal path. The original Babyface Pro was a huge success. This new ‘re-engineered’ version is on true RME form. 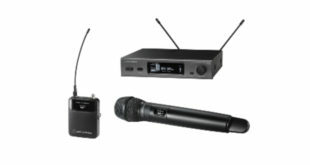 It provides accurate and clear mic pres and converters that cannot be faulted. I like the design of the device a lot, with its thoughtful layout and proper onboard connections. This is a seriously professional product, which is the result of a company that has spent years working on the details, making this a slightly more expensive option than the competition, but a solid investment. Simon Allen is a freelance internationally recognised engineer/producer and pro-audio professional with over a decade of experience. Working mostly in music, his reputation as a mix engineer continues to reach new heights.